I’ve decided to just combine the two P10P’s for the purpose of these update posts so they don’t get too confusing. I’m still doing 10 for bath & body products and 10 for beauty products but will just call it P20P. This week I’ve finished two products so I’m getting closer, just very slowly! 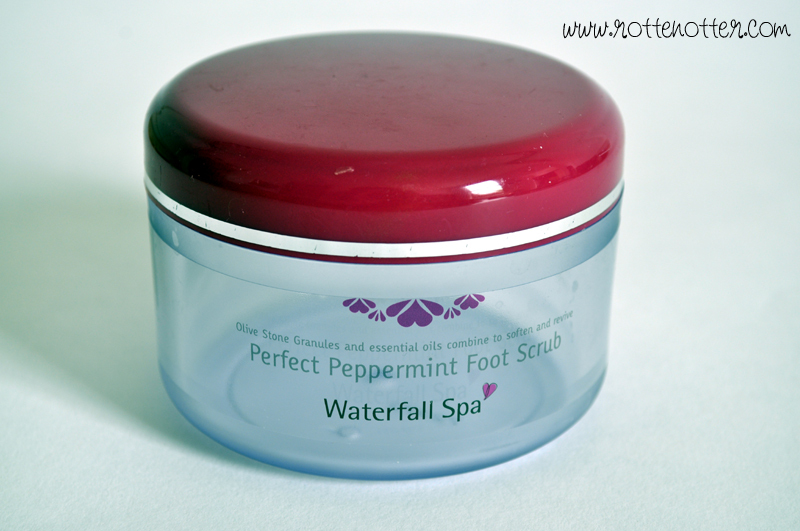 The first product I’ve finished is a peppermint foot scrub from Waterfall Spa. I bought about 8 products from Waterfall spa using the vouchers I won from the Aussie bonfire night event. To be honest, I haven’t really liked any of the products so far. They’re expensive, this foot scrub was £14, and they’re what they use in the spa so I expected a lot more from them. I found this didn’t exfoliate my feet at all, they felt the same as before I used it. I did like the peppermint scent but I can get this from a much cheaper product. I wouldn’t buy this again. I was really sad when I finished this, I bought it just before I went to Barcelona last year along with the green one and it reminds me of that holiday so much. I love the scent and will definitely buy it again. I've never heard of Waterfall Spa but I know what you mean about the foot scrub, most don't do anything all and £14 is a lot to pay for a jar of nothing! 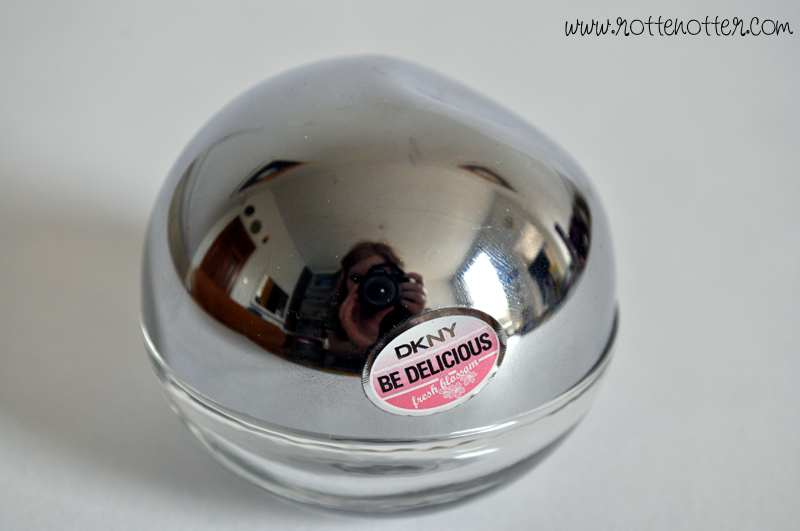 I love that photo of the DKNY Delicious. It's a true 'bloggers' photo with your reflection in it. @Skin scrubs, totally, and I can buy one for dirt cheap and it works amazingly.